You are currently browsing the category archive for the ‘Data centric’ category. Two weeks ago I wrote about the simplification discussion around PLM – Why PLM never will be simple. There I focused on the fact that even sharing information in a consistent, future proof way of working, is already challenging, despite easy to use communication tools like email or social communities. I mentioned that sharing PLM data is even more challenging due to their potential revision, version, status, and context. This brings us to the topic of configuration management, needed to manage the consistency of information, a challenge with the increasingly sophisticated products or systems. Simple tools will never fix this complexity. 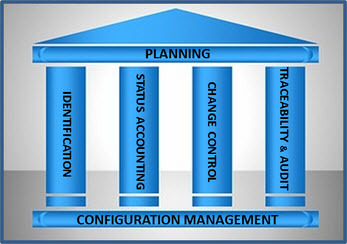 To manage the consistency of a product, configuration management (CM) is required. Two weeks ago I read the following interesting post from CMstat: A Brief History of Configuration Management Software. An excellent introduction if you want to know more about the roots of CM, be it that the post at the end starts to flush out all the disadvantages and reasons why you should not think about CM using PLM systems. 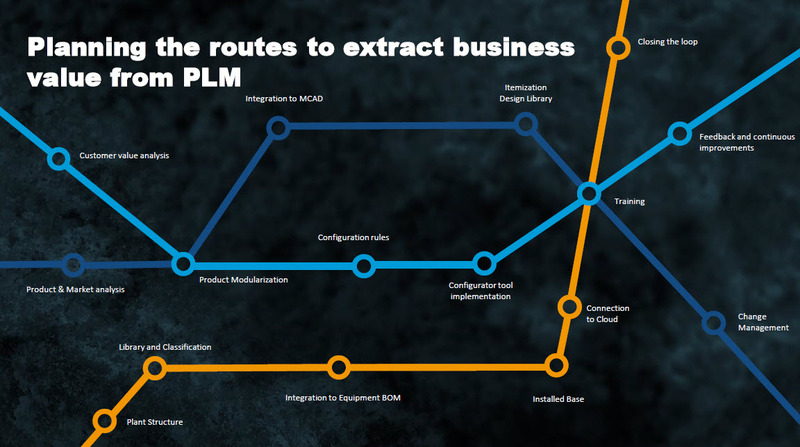 It is no secret that PLM solutions were often sold based in good part on their promise to provide full-lifecycle change control and systems-level configuration management across all functions of the enterprise for the OEM as well as their supply and service chain partners. The appeal of this sales stick was financial; the cost and liability to the corporation from product failures or disasters due to a lack of effective change control was already a chief concern of the executive suite. The sales carrot was the imaginary ROI projected once full-lifecycle, system-level configuration control was in effect for the OEM and supply chain. Less widely known is that for many PLM deployments, millions of budget dollars and months of calendar time were exhausted before reaching the point in the deployment road map where CM could be implemented. It was not uncommon that before the CM stage gate was reached in the schedule, customer requirements, budget allocations, management priorities, or executive sponsors would change. Or if not these disruptions within the customer’s organization, then the PLM solution provider, their software products or system integrators had been changed, acquired, merged, replaced, or obsoleted. Worse yet for users who just had a job to do was when solutions were “reimagined” halfway through a deployment with the promise (or threat) of “transforming” their workflow processes. Many project managers were silently thankful for all this as it avoided anyone being blamed for enterprise PLM deployment failures that were over budget, over schedule, overweight, and woefully underwhelming. Regrettably, users once again had to settle for basic change control instead of comprehensive configuration management. The origins of Configuration Management come from the Aerospace and Defense (A&D) industries. These industries have high quality, reliability and traceability constraints. In simple words, you need to prove your product works correctly specified in all described circumstances and keep this consistent along the lifecycle of the product. Moreover, imagine you delivered the perfect product, next implementing changes require a full understanding of the impact of the change. What is the impact of the change on the behavior or performance? In A&D is the question is it still safe and reliable? Somehow PLM and CM are enemies. The main reason why PLM-systems are used is Time to Market — bringing a product as fast as possible to the market with acceptable quality. Being first is sometimes more important than high quality. CM is considered as a process that slows down Time to Market as managing consistency, and continuous validating takes time and effort. Configuration Management in Aviation is crucial as everyone understands that you cannot afford to discover a severe problem during a flight. All the required verification and validation efforts make CM a costly process along the product lifecycle. Airplane parts are 2 – 3 times more expensive than potential the same parts used in other industries. The main reason: airplane parts are tested and validated for all expected conditions along their lifecycle. Other industries do not spend so much time on validation. They validate only where issues can hurt the company, either for liability or for costs. Time to Market even impacts the aviation industry as we can see from the commercial aircraft battle(s) between Boeing and Airbus. Who delivers the best airplane (size/performance) at the right moment in the global economy? The Airbus 380 seemed to miss its targets in the future – too big – not flexible enough. The Boeing 737 MAX appears to target a market sweet spot (fuel economy) however the recent tragic accidents with this plane seemed to be caused by Time to Market pressure to certify the aircraft too early. Or is the complexity of a modern airplane unmanageable? Most companies had their configuration management practices long before they started to implement PLM. These practices were most of the time documented in procedures, leading to all kind of coding systems for these documents. Drawing numbers (the specification of a part/product), Specifications, Parts Lists, all had a meaningful identifier combined with a version/revision and status. For example, the Philips 12NC coding system is famous in the Netherlands and is still used among spin-offs of Philips and their supplier as it offers a consistent framework to manage configurations. Storing these documents into a PDM/PLM-system to provide centralized access was not a big problem; however, companies also expected the PLM-system to support automation and functionality to support their configuration management procedures. Companies do not have a consistent configuration management framework as Time to Market is leading – we will fix CM later is the idea, and they let their PLM –implementer configure the PLM-system as good a possible. Still, at the management level, the value of CM is not recognized. 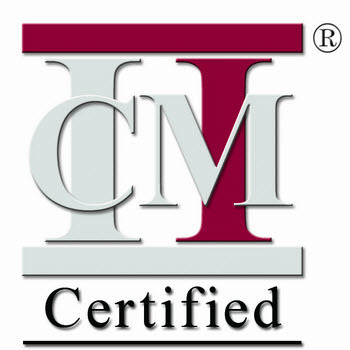 In companies that I worked with, those who were interested in a standardized configuration management approach were trained in CMII. CMII (or CM2) is a framework supported by most PLM-systems, sometimes even as a pre-configured template to speed-up the implementation. Still, as PLM-systems serve multiple industries, I would not expect any generic PLM-vendor to offer Commercial Off-The-Shelf (COTS) CM-capabilities – there are too many legacy approaches. You can find a good and more in-depth article related to CMII here: Towards Integrated Configuration Change Management (CMII) from Lionel Grealou. Current configuration management practices are very much based on the concepts of managing document. However, products are more and more described in a data-driven, model-based approach. You can find all the reasons why we are moving to a model-based approach in my last year’s blog post. Important to realize is that current CM practices in PLM were designed with mechanical products and lifecycles as a base. With the combination of hardware and software, integrated and with different lifecycles, CM has to be reconsidered with a new holistic concept. The Institute of Process Excellence provides CM2 training but is also active in developing concepts for the digital enterprise. Martijn Dullaart, Lead Architect Configuration Management @ ASML & Chair @ IPE/CM2 Global Congress has published several posts related to CM and a Model-Based approach – you find them here related to his LinkedIn profile. As you can read from his articles organizations are trying to find a new consistent approach. In Part 2 of this CMsights series on the future of CM software we will examine the emerging strategy of “Platform PLM” where functional services like CM are delivered via an open, federated architecture comprised of rapidly-deployable industry-configured applications. I am looking forward to Part2 of CMsights . An approach that makes sense to me as system boundaries will disappear in a digital enterprise. It will be more critical in the future to create consistent data flows in the right context and based on data with the right quality. Simple tools and complexity need to be addressed in the right order. Aligning people and processes efficiently to support a profitable enterprise remains the primary challenge for every enterprise. Complex products, more dependent on software than hardware, are requiring new ways of working to stay competitive. Digitization can help to implement these new ways of working. Experienced PLM/CM experts know the document-driven past. Now it is time for a new generation of PLM and CM experts to start from a digital concept and build consistent and workable frameworks. Then the simple tools can follow. I was happy to take part at the PI PLMx London event last week. It was here and in the same hotel that this conference saw the light in 2011 – you can see my blog post from that event here: PLM and Innovation @ PLMINNOVATION 2011. At that time the first vendor-independent PLM conference after a long time and it brought a lot of new people together to discuss their experience with PLM. Looking at the audience that time, many of the companies that were there, came back during the years, confirming the value this conference has brought to their PLM journey. Similar to the PDT conference(s) – just announced for this year last week – here – the number of participants is diminishing. the PLM-definition has become too vague. Going to a PLM conference does not guarantee it is your type of PLM discussions you expect to see? the average person is now much better informed related to PLM thanks to the internet and social media (blogs/webinars/ etc.) Therefore, the value retrieved from the PLM conference is not big enough any more? Digital Transformation is absorbing all the budget and attention downstream the organization not creating the need and awareness of modern PLM to the attention of the management anymore. g., a digital twin is sexier to discuss than PLM? What do you think about the above three hypotheses – 1,2 and/or 3? Where the focus started with justifying PLM, as well as a supporting infrastructure, to bring Innovation to the market, the first changes became visible in 2014. PLM was changing as more data-driven vendors appeared with new and modern (metadata) concepts and cloud, creating the discussion about what would be the next upgrade challenge. The identity crisis reflected the introduction of software development / management combined with traditional (mechanical) PLM – how to deal with systems? Where are the best practices? 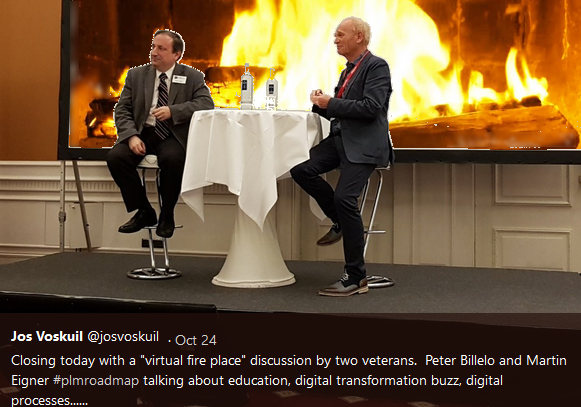 Then from 2017 on until now Digital Transformation and the impact on PLM and an organization became the themes to discuss – and we are not ready yet! I tend to agree with this simplification as it makes the story easy to explain to everyone in your company. Probably I would add to that story that saving time also means less money spent on intermediate resources in a company, therefore, creating a two-sided competitive advantage. David stated that today’s digital transformation is more about business change than technology and here I wholeheartedly agree. Once you can master the flow of data in your company, you can change and adapt your company’s business processes to be better connected to the customer and therefore deliver the value they expect (increases your competitive advantage). Having new technology in place does not help you unless you change the way you work. David introduced a new acronym ILM (Integrated Lifecycle Management) and I am sure some people will jump on this acronym. David’s presentation contained an interesting view from the business-architectural point of view. An excellent start for the conference where various dimensions of digital transformation and PLM were explored. There were two points that I liked a lot from her presentation, as I can confirm they are crucial. Although there was a justification for the implementation of PLM, there was no ROI calculation done upfront. I think this is crucial, you know as a company you need to invest in PLM to stay competitive. Making an ROI-story is just consoling the people with artificial number – success and numbers depend on the implementation and Susanna confirmed that step 1 delivered enough value to be confident. There were an end-to-end governance and a communication plan in place. Compared to PLM projects I know, this was done very extensive – full engagement of key users and on-going feedback – communicate, communicate, communicate. How often do we forget this in PLM projects? Sami Grönstrand & Helena Gutierrez presented as an experienced duo (they were active in PI P PLMx Hamburg/Berlin before) – their current status and mission for PLM @ Outotec. As the title suggests, it was about how to extract more value from PL M, in an Engineering to Order Business. What I liked is how they simplified their PLM targets from a complex landscape into three story-lines. Accelerating project deliverables, again reaping the benefits of modularization, creating libraries and training the workforce in using this new environment (otherwise no use of new capabilities). The results in reducing engineering hours was quite significant. Creating New Business Models, by connecting all data using a joint plant structure with related equipment. By linking these data elements, an end-to-end digital continuity was established to support advanced service and support business models. My conclusion from this session was again that if you want to motivate people on a PLM-journey it is not about the technical details, it is about the business benefits that drive these new ways of working. In the context of the previous session from Outotec, Björn Wilhemsson’s session was also addressing somehow the same topic of How to create as much as possible variation in your customer offering, while internally keep the number of variants and parts manageable. Björn, Alfa Laval’s OnePLM Programme Director, explained in detail the strategy they implemented to address these challenges. His presentation was very educational and could serve as a lesson for many of us related to product portfolio management and modularization. Day 1 closed with an inspirational keynote; Lessons-Learnt from the Mountaineering Experience 8848 Meter above sea level – a mission to climb the highest mountain on each of the continents in 107 days – 9 hours – setting a new world record by Jonathan Gupta. There are some analogies to discover between his mission and a PLM implementation. It is all about having the total picture in mind. Plan and plan, prepare step-by-step in detail and rely on teamwork – it is not a solo journey – and it is about reaching a top (deliverable phase) in the most efficient way. The differences: PLM does not need world records, you need to go with the pace an organization can digest and understand. Although the initial PLM climate during implementation might be chilling too, I do not believe you have to suffer temperatures below 50 degrees Celsius. During the morning, I was involved in several meetings, therefore unfortunate unable to see some of the interesting sessions at that time. Hopefully later available on PI.TV for review as slides-only do not tell the full story. Although there are experts that can conclude and comment after seeing a single slide. 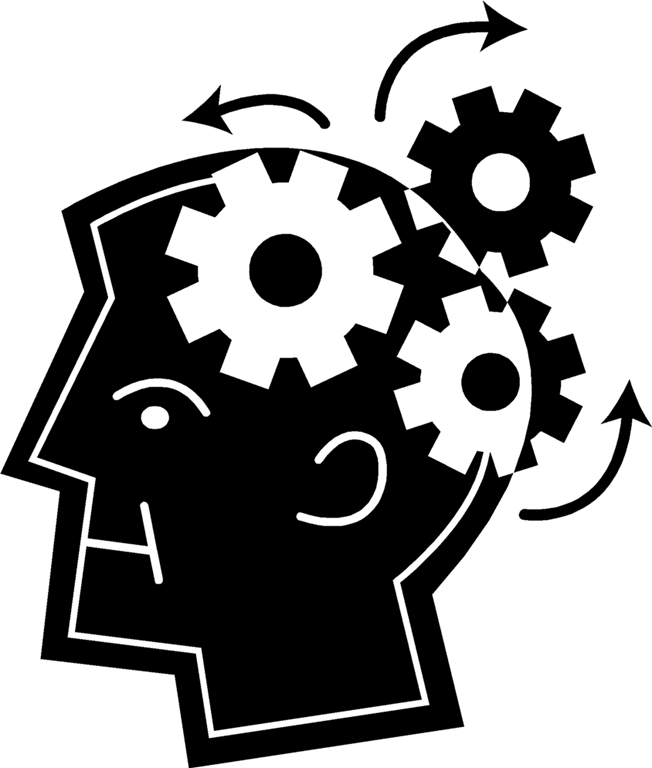 You can read it here from my blog buddy Oleg Shilovitsky’s post : PLM Buzzword Detox. I think oversimplification is exactly creating the current problem we have in this world – people without knowledge become louder and sure about their opinion compared to knowledgeable people who have spent time to understand the matter. Have a look at the Dunning-Kruger effect here (if you take the time to understand). Probably depending on your business some of these waves might have touched your organization already. What is clear that the market leaders here will benefit the most – the ones owning a smart and connected ecosystem will be the winners shortly. Next, Peter explained why PLM, and in particular the Product Innovation Platform, is crucial for a smart and connected enterprise. Shiny capabilities like a digital twin, the link between virtual and real, or virtual & augmented reality can only be achieved affordably and competitively if you invest in making the source digital connected. 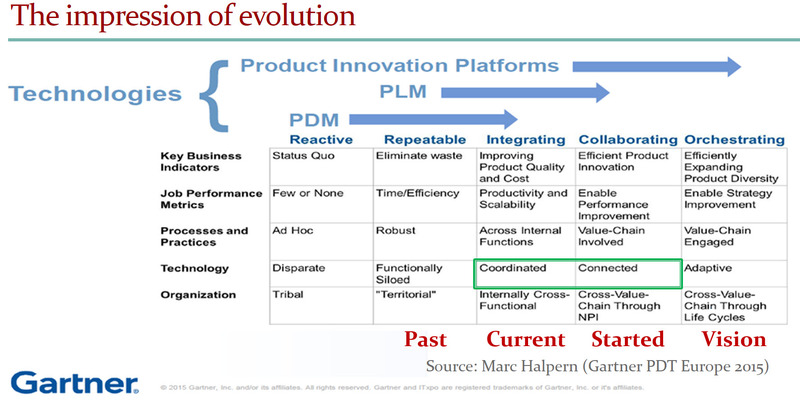 The scope of a product innovation platform is much broader than traditional PLM. Also, the way information is stored differs – moving from documents (files) towards data (elements in a database). 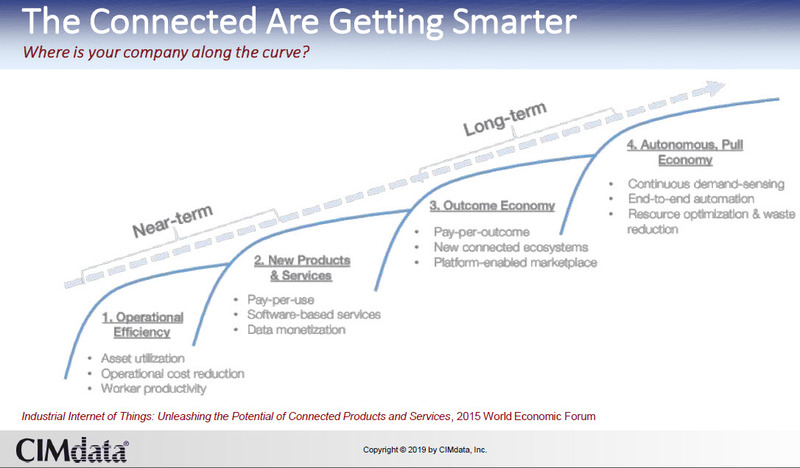 I fully agree with Peter’s opinion here that PLM is conceptually the Killer App for a Smart & Connected Ecosystem and this notion is spreading. A recent article from Forbes in the category Leadership: Is Your Company Ready For Digital Product Life Cycle Management? shows there is awareness. Still very basic and people are still confused to understand what is the difference with an electronic file (digital too ?) and a digital definition of information. The main point to remember here: Digital information can be accessed directly through a programming interface (API/Service) without the need to open a container (document) and search for this piece of information. I was happy to present after Peter Bilello and David Sherburne (on day 1) as they both gave a perspective on digital transformation complementary to what I submitted. My presentation was focusing on the incompatibility of current coordinated business systems and the concept of a connected ecosystem. 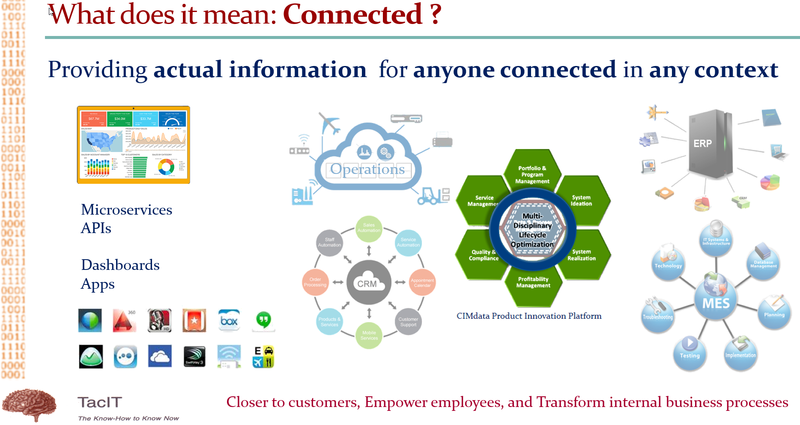 You can already download my slides from SlideShare here: The Challenges of a Connected Ecosystem for PLM . I will explain my presentation in an upcoming blog post as slides without a story might lead to the wrong interpretation, and we already reached 2000 words. Few words to come. For me coming back to London for the PI PLMx event was very motivational. Where the past two, three conferences before in Germany might have led to little progress per year, this year, thanks to new attendees and inspiration, it became for me a vivid event, hopefully growing shortly. 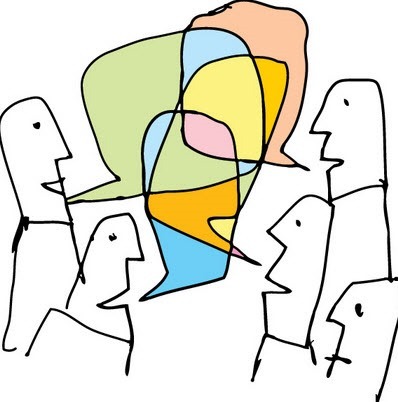 Networking and listening to your peers in business remains crucial to digest it all. A week ago I attended the joined CIMdata Roadmap and PDT Europe conference in Stuttgart as you can recall from last week’s post: The weekend after CIMdata Roadmap / PDT Europe 2018. As there was so much information to share, I had to split the report into two posts. This time the focus on the PDT Europe. In general, the PDT conferences have always been focusing on sharing experiences and developments related to standards. A topic you will not see at PLM Vendor conferences. Therefore, your chance to learn and take part if you believe in standards. This year’s theme: Collaboration in the Engineering and Manufacturing Supply Chain – the Extended Digital Thread and Smart Manufacturing. Industry 4.0 plays a significant role here. Model-based X: What is it and what is the status? 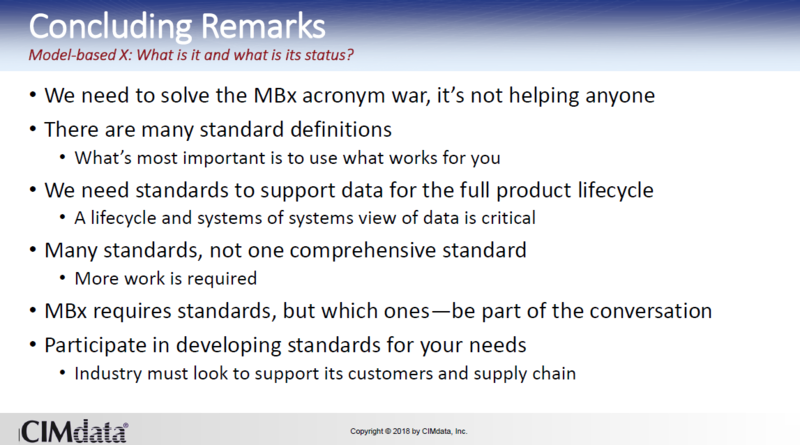 If you want to implement an end-to-end model-based approach including your customers and supply chain, you cannot avoid standard. More will become clear when you read the rest of this post. Vendors will not promote standards as it reduces their capabilities to deliver unique So standards must come from the market, not from the marketing. 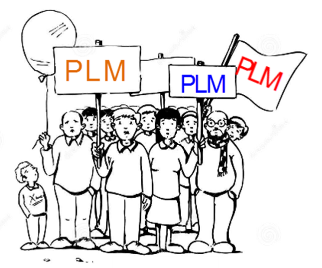 In 2007 Carl Bass, at that time CEO at Autodesk made his statement: “There are only three customers in the world that have a PLM problem; Dassault, PTC, and There are no other companies that say I have a PLM problem”. Have a look here. PLM is understood by now and even by Autodesk. The statement illustrates that in the beginning the PLM target was not clear and people thought PLM was a system instead of a strategic approach. Model-based ways of working have to go through the same learning path, hopefully, faster. Peter’s presentation was a good walk-through pointing out what exists, where we focus and that there is still working to be done. Not by vendors but by companies. Therefore I wholeheartedly agree with Peter’s closing remarks – no time to sit back and watch if you want to benefit from model-based approaches. Standardization of the content, meaning, structure, representation and quality management of the information required to define an engineered product and its characteristics at any required level of detail at any part of its lifecycle from conception through disposal, together with the interfaces required to deliver and collect the information necessary to support any business or technical process or service related to that engineered product during its lifecycle. Perhaps boring to read if you think about all the demos you have seen at trade shows related to Smart Manufacturing. If you want these demos to become true in a vendor-independent environment, you will need to agree on a common framework of definitions to ensure future continuity beyond the demo. And here lies the business excitement, the real competitive advantages companies can have implementing Smart Manufacturing in a Scaleable, future-oriented way. One of the often heard statements is that standards are too slow or incomplete. Incomplete is not a problem when there is a need, the standard will follow. Compare it with language, we will always invent new words for new concepts. Being slow might be the case in the past. Kenny showed the relative fast convergence from country-specific Smart Manufacturing standards into a joined ISO/IEC framework – all within three years. 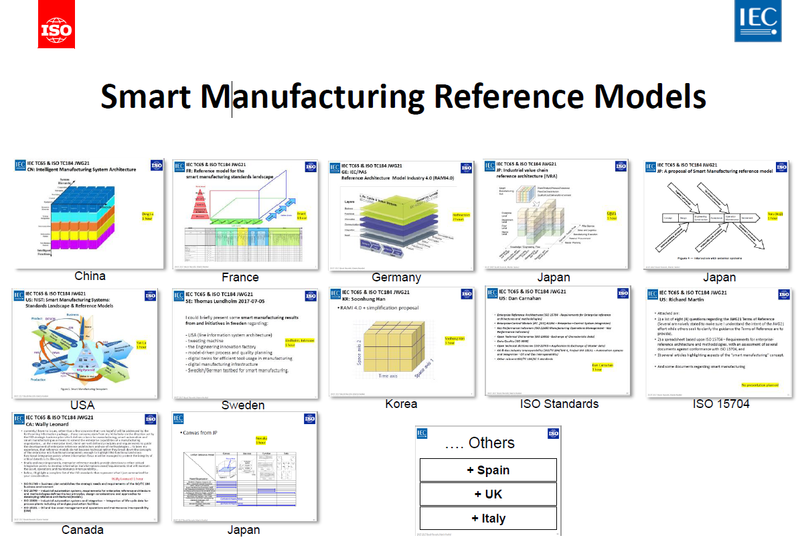 ISO and IEC have been teaming-up already to build Smart Manufacturing Reference models. This is already a considerable effort, as the local reference models need to be studied and mapped to a common architecture. The target is to have a first Technical Specification for a joint standard final 2020 – quite fast! Meinolf Gröpper from the German VDMA presented what they are doing to support Smart Manufacturing / Industrie 4.0. 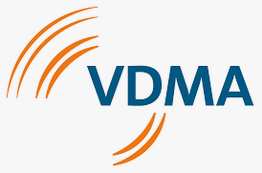 The VDMA is a well-known engineering federation with 3200 member companies, 85 % of them are Small and Medium Enterprises – the power of the German economy. The Smart Manufacturing session was concluded by Gunilla Sivard, Professor at KTH in Stockholm and Hampus Wranér, Consultant at Eurostep. 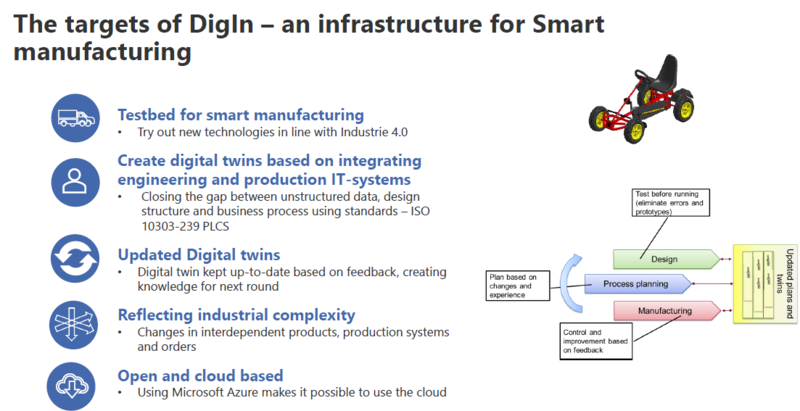 They presented the work done on the DIgln project, targeting an infrastructure for Smart Manufacturing. The conclusion from the Smart Manufacturing session was that emerging and available standards can accelerate the deployment. Alcibiades Gonzalez-Noval from Airbus shared challenges and the strategy for Airbus’s factory of the future based on digital continuity from the virtual world towards the physical world, connecting with PLM, ERP, and MOM. Concepts many companies are currently working on with various maturity stages. I agree with his lessons learned. We cannot think in silos anymore in a digital future – everything is connected. And please forget the PoC, to gain time start piloting and fail or succeed fast. Companies have lost years because of just doing PoCs and not going into action. The last point, networks segregation for sure is an issue, relevant for plant operations. 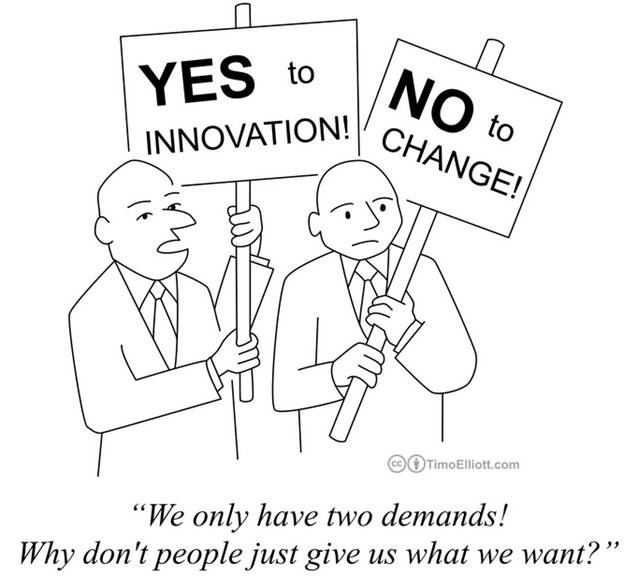 I experienced this also in the past when promoting PLM concepts for (nuclear) owners/operators of plants. Network security is for sure an issue to resolve. 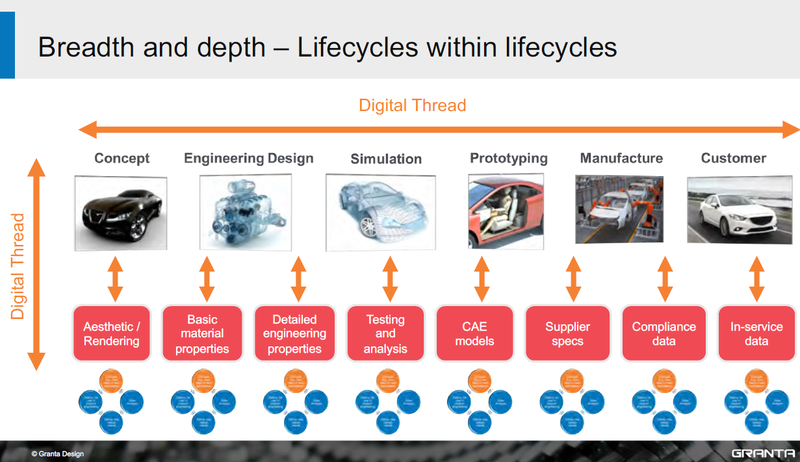 Setting up the digital thread across engineering and the value chain. A demonstrator was defined, and various vendors participated in building a demonstrator based on their Out-Of-The-Box capabilities. The result showed that for all participants there were still gaps to resolve for full collaboration. A new version of the demonstrator is now planned for the middle of next year – curious to learn the results at that time. Multi-disciplinary collaboration is a (conceptual) pillar for future digital business – it needs to be possible. A Digital Thread based on the PLCS standard. Nigel Shaw, Eurostep’s managing director in the UK, took us through his evolution of PLCS (Product Life Cycle Support) and extension of the ISO 10303 STEP standard. (STEP Standard for Exchange of Product data). 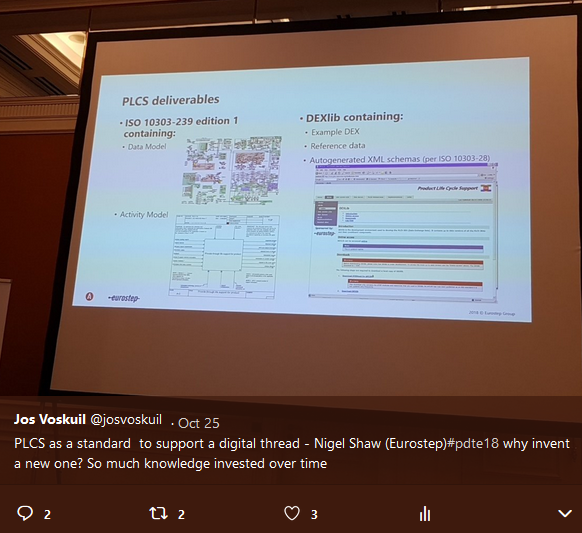 Nigel mentioned how over all these years, millions (and a lot of brain power) have been invested in PLCS to where it is now. PLCS has been extremely useful as an interface standard for contracting, provide product data in a neutral way. As an example, last year the Swedish Defense organization (FMV) and France’s DGA made PLCS DEXs as part of the contractual conditions. It would be too costly to have all product data for all defense systems in proprietary vendor formats and this over the product lifecycle. Those following the standards in the process industry will rely on ISO 15926 / CFIHOS as this standard’s dictionary, and data model is more geared to process data- and in particular the exchange of data from the various contractors with the owner/operator. It is interesting to note that product management has moved a long way over the last 10-20 years however as we include more and more into PLM, there are all the time new concepts to be solved. The cases we discuss today in our PLM communities were most of the time visions 10 years ago. Nowadays we want to include Model-Based Systems Engineering, 3D Modeling and simulation, electronics and software and even aftermarket, product support in true PLM. This was not the case 20 years ago. 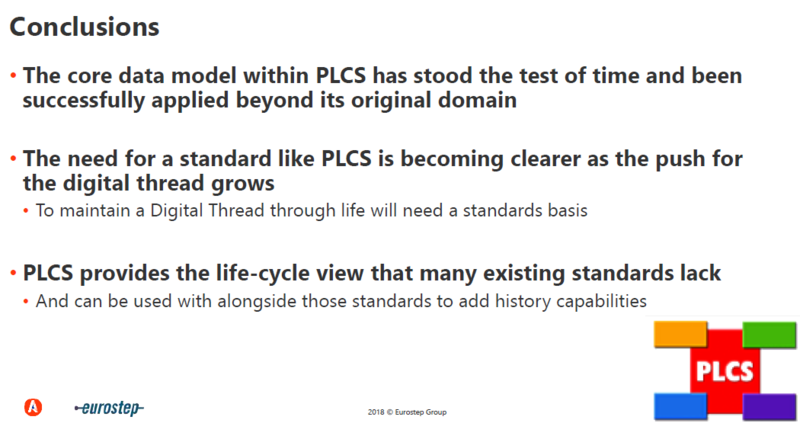 The people involved in the development of PLCS were for sure visionaries as product data connectivity along the whole lifecycle is needed and enabled by the standard. Hard Realities of the Grand Vision. Marc Halpern from Gartner is one of the regular speakers at the PDT conference. Unfortunate he could not be with us that day, however, through a labor-intensive connection (mobile phone close to the speaker and Nigel Shaw trying to stay in sync with the presented slides) we could hear Marc speak about what we wanted to achieve too – a digital continuity. Marc restated the massive potential of Industrie 4.0 when it comes to scalability, agility, flexibility, and efficiency. Although technologies are evolving rapidly, it is the existing legacy that inhibits fast adoption. A topic that was also central in my presentation. It is not just a change in technology, there is much more connected. Marc recommends a changing role for IT, where they should focus more on business priorities and business leadership strategies. This as opposed to the classical role of the IT organization where IT needed to support the business, now they will be part of leading the business too. To orchestrate such an IT evolution, Marc recommends a “systems of systems” planning and execution across IT and Business. One of my recent blog posts: Moving to a model-based enterprise: The business (information) model can be seen in that context. How to deal with the incompatible future? I was happy to conclude the sessions with the topic that concerns me the most at this time. Companies in their current business are already struggling to get aligned and coordinated between disciplines and external stakeholders, the gap to be connected is vast as it requires a master data management approach, an enterprise data model and model-based ways of working. Read my posts from the past ½ year starting here, and you get the picture. I concluded with explaining companies need to learn to work in two modes. One mode will be the traditional way of working which I call the coordinated approach and a growing focus on operating in a connected mode. You can see my full presentation here on SlideShare: How to deal with the incompatible future. The conference was closed with a panel discussion where we shared our concerns related to the challenges companies face to change their traditional ways of working meanwhile entering a digital era. The positive points are there – baby steps – PLM is becoming understood, the significance of standards is becoming more clear. The need: a long-term vision. Last week I attended the long-awaited joined conference from CIMdata and Eurostep in Stuttgart. As I mentioned in earlier blog posts. I like this conference because it is a relatively small conference with a focused audience related to a chosen theme. Peter Bilello kicked off with providing an overview of the PLM industry. The PLM market showed an overall growth of 7.3 % toward 43.6 Billion dollars. Zooming in into the details cPDM grew with 2.9 %. The significant growth came from the PLM tools (7.7 %). The Digital Manufacturing sector grew at 6.2 %. These numbers show to my opinion that in particular, managing collaborating remains the challenging part for PLM. It is easier to buy tools than invest in cPDM. Peter mentioned that at the board level you cannot sell PLM as this acronym is too much framed as an engineering tool. Also, people at the board have been trained to interpret transactional data and build strategies on that. They might embrace Digital Transformation. However, the Product innovation related domain is hard to define in numbers. What is the value of collaboration? How do you measure and value innovation coming from R&D? Recently we have seen more simplified approaches how to get more value from PLM. I agree with Peter, we need to avoid the PLM-framing and find better consumable value statements. For me, the most interesting presentation of Day 1 was Don Farr’s presentation. Don and his Boeing team worked on depicting the Systems Engineering process for a Model-Based environment. The original “V” looks like a linear process and does not reflect the multi-dimensional iterations at various stages, the concept of a virtual twin and the various business domains that need to be supported. The result was the diamond symbol above. Don and his team have created a consistent story related to the depicted diamond which goes too far for this blog post. Current the diamond concept is copyrighted by Boeing, but I expect we will see more of this in the future as the classical systems engineering “V” was not design for our model-based view of the virtual and physical products to design AND maintain. The vignette sponsors of the conference, Aras, ESI,-group, Granta Design, HCL, Oracle and TCS all got a ten minutes’ slot to introduce themselves, and the topics they believed were relevant for the audience. These slots served as a teaser to come to their booth during a break. Interesting for me was Granta Design who are bringing a complementary data service related to materials along the product lifecycle, providing a digital continuity for material information. See below. Mikko Jokela, Head of Engineering Applications CoE, from ABB, completed the morning sessions and left me with a lot of questions. Mikko’s mission is to provide the ABB companies with an information infrastructure that is providing end-to-end digital services for the future, based on apps and platform thinking. Apparently, the digital continuity will be provided by all kind of BOM-structures as you can see below. In my post, Coordinated or Connected, related to a model-based enterprise I call this approach a coordinated approach, which is a current best practice, not an approach for the future. There we want a model-based enterprise instead of a BOM-centric approach to ensure a digital thread. See also Don Farr’s diamond. When I asked Mikko which data standard(s) ABB will use to implement their enterprise data model it became clear there was no concept yet in place. Perhaps an excellent opportunity to look at PLCS for the product related schema. A general comment: Many companies are thinking about building their own platform. Not all will build their platform from scratch. For those starting from scratch have a look at existing standards for your industry. And to manage the quality of data, you will need to implement Master Data Management, where for the product part the PLM system can play a significant role. See Master Data Management and PLM. And this is a challenge. A quick survey in the room (and coherent with my observations from the field) is the fact that most companies (95 %) haven’t even achieved to work integrated for mechatronics products. You can imagine the challenge to incorporate also Software, Simulation, and other business disciplines. Martin’s presentations are always an excellent conceptual framework for those who want to dive deeper a start point for discussion and learning. Moog Inc, a manufacturer of precision motion controls for various industries have made a strategic move towards Additive Manufacturing. Peter Kerl, Moog’s Engineering Systems Manager, gave a good introduction what is meant by Additive Manufacturing and how Moog is introducing Additive Manufacturing in their organization to create more value for their customer base and attract new customers in a less commodity domain. As you can image delivering products through Additive Manufacturing requires new skills (Design / Materials), new processes and a new organizational structure. And of course a new PLM infrastructure. Jim van Oss, Moog’s PLM Architect and Strategist, explained how they have been involved in a technology solution for digital-enabled parts leveraging blockchain technology. Have a look at their VeriPart trademark. It was interesting to learn from Peter and Jim that they are actively working in a space that according to the Gartner’s hype curve is in the early transform phase. Peter and Jim’s presentation were very educational for the audience. Daniel Dubreuil, Safran’s CDO for Products and Services gave an entertaining lecture related to Safran’s PLM journey and the introduction of new digital capabilities, moving from an inward PLM system towards a digital infrastructure supporting internal (model-based systems engineering / multiple BOMs) and external collaboration with their customers and suppliers introducing new business capabilities. Daniel gave a very precise walk-through with examples from the real world. 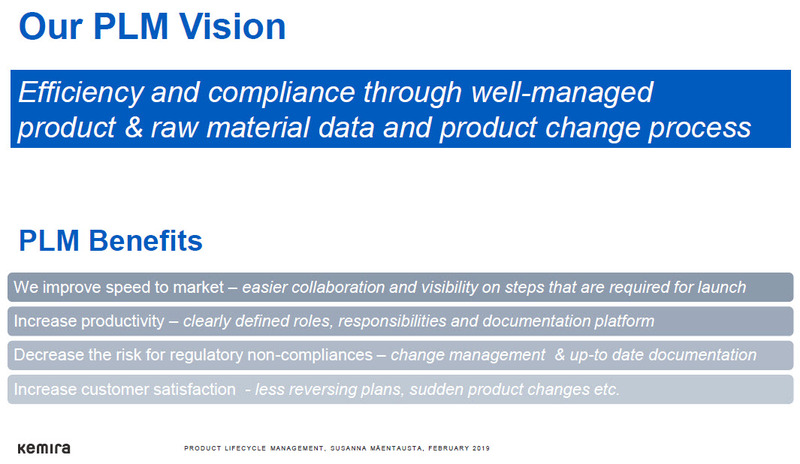 The concluding slide: KEY SUCCESS FACTORS was a slide that we have seen so many times at PLM events. Apparently, the key success factors are known. However, most of the time one or more of these points are not possible to address due to various reasons. Then the question is: How to mitigate this risk as there will be issues ahead? Bringing all the digital trends together. What’s next? Peter: “Having studied physics is a good base for understanding PLM as you have to model things you cannot see” – As I studied physics I can agree. Martin: “Germany is the center of knowledge for Mechanical, the US for Electronics and now China becoming the center for Electronics and Software” Interesting observation illustrating where the innovation will come from. Both Peter and Martin spent serious time on the importance of multidisciplinary education. We are teaching people in silos, faculties work in silos. We all believe these silos must be broken down. It is hard to learn and experiment skills for the future. Where to start and lead? In my recent posts, I have talked a lot about the model-based enterprise and already after my first post: Model-Based – an introduction I got a lot of feedback where most of the audience was automatically associating the words Model-Based to a 3D CAD Model. Trying to clarify this through my post: Why Model-Based – the 3D CAD Model stirred up the discussion even more leading into: Model- Based: The confusion. At that time, I briefly touched on business models and business processes that also need to be reshaped and build for a digital enterprise. Business modeling is necessary if you want to understand and streamline large enterprises, where nobody can overview the overall company. This approach is like systems engineering where we try to understand and simulate complex systems. With this post, I want to close on the Model-Based series and focus on the aspects of the business model. I was caught by this catchy article: How would you like a digital twin of your organization? which provides a nice introduction to this theme. Also, I met with Steve Dunnico, Creator and co-founder of Clearvision, a Swedish startup company focusing on modern ways of business modeling. Jos (VirtualDutchman): Steve can you give us an introduction to your company and the which parts of the model-based enterprise you are addressing with Clearvision? Steve (Clearvision): Clearvision started as a concept over two decades ago – modeling complex situations across multiple domains needed a simplistic approach to create a copy of the complete ecosystem. Along the way, technology advancements have opened up big-data to everyone, and now we have Clearvision as a modeling tool/SaaS that creates a digital business ecosystem that enables better visibility to deliver transformation. As we all know, change is constant, so we must transition from the old silo projects and programs to a business world of continuous monitoring and transformation. Clearvision enables this by connecting the disparate parts of an organization into a model linking people, competence, technology services, data flow, organization, and processes. Complex inter-dependencies can be visualized, showing impact and opportunity to deliver corporate transformation goals in measured minimum viable transformation – many small changes, with measurable benefit, delivered frequently. This is what Clearvision enables! Jos: What is your definition of business modeling? Steve: Business modeling historically, has long been the domain of financial experts – taking the “business model” of the company (such as production, sales, support) and looking at cost, profit, margins for opportunity and remodeling to suit. Now, with the availability of increased digital data about many dimensions of a business, it is possible to model more than the financials. This is the business modeling that we (Clearvision) work with – connecting all the entities that define a business so that a change is connected to process, people, data, technology and other dimensions such as cost, time, quality. So if we change a part, all of the connected parts are checked for impact and benefit. Jos: What are the benefits of business modeling? Steve: Connecting the disparate entities of a business opens up limitless opportunities to analyze “what is affected if I change this?”. This can be applied to simple static “as-is” gap analyses, to the more advanced studies needed to future forecast and move into predictive planning rather than reactive. The benefits of using a digital model of the business ecosystem are applicable to the whole organization. The “C-suite” team get to see heat-maps for not only technology-project deliveries but can use workforce-culture maps to assess the company’s understanding and adoption of new ways of working and achievement of strategic goals. While at an operational level, teams can collaborate more effectively knowing which parts of the ecosystem help or hinder their deliveries and vice-versa. Jos: Is business modeling applicable for any type or size of the company? The complexity of business has driven us to silo our way of working, to simplify tasks to achieve our own goals, and it is larger organizations which can benefit from modeling their business ecosystems. On that basis, it is unlikely that a standalone small business would engage in its own digital ecosystem model. However, as a supplier to a larger organization, it can be beneficial for the larger organizations to model their smaller suppliers to ensure a holistic view of their ecosystem. 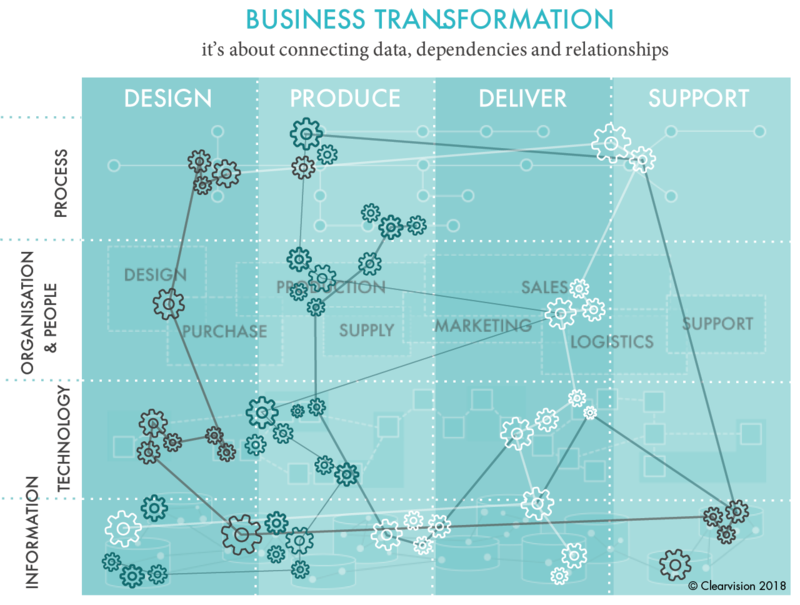 Jos: How is business modeling related to digital transformation? Digital transformation is an often heard topic in large corporations, by implication we should take advantage of the digital data we generate and collect in our businesses and connect it, so we benefit from the whole not work in silos. Therefore, using a digital model of a business ecosystem will help identify areas of connectivity and collaboration that can deliver best benefit but through Minimum Viable Transformation, not a multi-year program with a big-bang output (which sometimes misses its goals…). Today’s digital technology brings new capabilities to businesses and is driving competence changes in organizations and their partner companies. So another use of business modeling is to map competence of internal/external resources to the needed capabilities of digital transformation. Mapping competence rather than roles brings a better fit for resources to support transformation. Understanding which competencies we have and what the gaps are pr-requisite to plan and deliver transformation. Jos: Then perhaps close with your Clearvision mission where you fit (uniquely)? Having worked on early digital business ecosystem models in the late 90’s, we’ve cut our teeth on slow processing time, difficult to change data relationships and poor access to data, combined with a very silo’d work mentality. Clearvision is now positioned to help organizations realize that the value of the whole of their business is greater than the sum of their parts (silos) by enabling a holistic view of their business ecosystem that can be used to deliver measured transformation on a continual basis. Jos: Thanks Steve for your contribution and with this completing the series of post related to a model-based enterprise with its various facets. I am aware this post the opinion from one company describing the importance of a model-based business in general. There are no commercial relations between the two of us and I recommend you to explore this topic further in case relevant for your situation. In my earlier posts, I have explored the incompatibility between current PLM practices and future needs for digital PLM. Digital PLM is one of the terms I am using for future concepts. Actually, in a digital enterprise, system borders become vague, it is more about connected platforms and digital services. Current PLM practices can be considered as Coordinated where the future for PLM is aiming at Connected information. See also Coordinated or Connected. Moving from current PLM practices towards modern ways of working is a transformation for several reasons. First, because the scope of current PLM implementation is most of the time focusing on engineering. Digital PLM aims to offer product information services along the product lifecycle. Second, because the information in current PLM implementations is mainly stored in documents – drawings still being the leading In advanced PLM implementations BOM-structures, the EBOM and MBOM are information structures, again relying on related specification documents, either CAD- or Office files. The first PLM implementations were most of the time advanced cPDM implementations, targeting sharing CAD models and drawings. Deployments started with the engineering department with the aim to centralize product design information. Integrations with mechanical CAD systems had the major priority including engineering change processes. Multidisciplinary collaboration enabled by introducing the concept of the Engineering Bill of Materials (EBOM). Every discipline, mechanical, electrical and sometimes (embedded) software teams, linked their information to the EBOM. The product release process was driven by the EBOM. If the EBOM is released, the product is fully specified and can be manufactured. Although people complain implementing PLM is complex, this type of implementation is relatively simple. The only added mental effort you are demanding from the PLM user is to work in a structured way and have a more controlled (rigid) way of working compared to a directory structure approach. For many people, this controlled way of working is already considered as a limitation of their freedom. However, companies are not profitable because their employees are all artists working in full freedom. They become successful if they can deliver in some efficient way products with consistent quality. In a competitive, global market there is no room anymore for inefficient ways of working as labor costs are adding to the price. The way people work in this cPDM environment is coordinated, meaning based on business processes the various stakeholders agree to offer complete sets of information (read: documents) to contribute to the full product definition. If all contributions are consistent depends on the time and effort people spent to verify and validate its consistency. Often this is not done thoroughly and errors are only discovered during manufacturing or later in the field. Costly but accepted as it has always been the case. When the awareness exists that data needs to flow through an organization is a consistent manner, the next step of PLM implementations come into the picture. Here I would state we are really talking about PLM as the target is to share product data outside the engineering department. 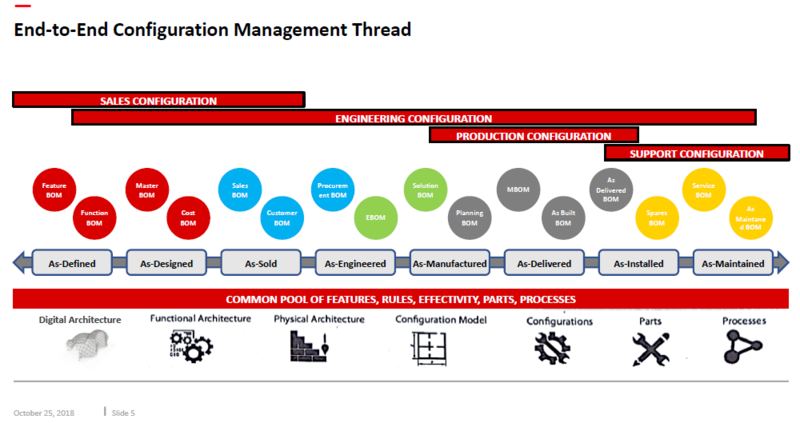 The first logical extension for PLM is moving information from an EBOM view (engineering) towards a Manufacturing Bill of Materials (MBOM) view. The MBOM is aiming to represent the manufacturing definition of the product and becomes a placeholder to link with the ERP system and suppliers directly. Having an integrated EBOM / MBOM process with your ERP system is already a big step forward as it creates an efficient way of working to connect engineering and manufacturing. As all the information is now related to the EBOM and MBOM, this approach is often called the item-centric approach. The Item (or Part) is the information carrier linked to its specification documents. Managing the right version of the information in relation to a specific version of the product is called configuration management. And the better you have your configuration management processes in place, the more efficient and with high confidence you can deliver and support your products. Configuration Management is again a typical example where we are talking about a coordinated approach to managing products and documents. Implementing this type of PLM requires already more complex as it needs different disciplines to agree on a collective process across various (enterprise) systems. ERP integrations are technically not complicated, it is the agreement on a leading process that makes it difficult as the holistic view is often failing. In the Digital Thread – coordinated approach we are not revolutionizing the way of working in an enterprise. 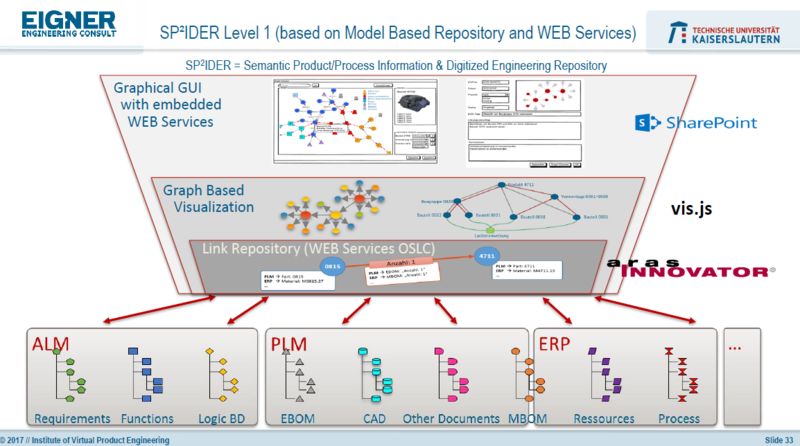 In the coordinated approach, the PLM environment is connected with another overlay, combining data from various disciplines into an environment where the dependencies are traceable. 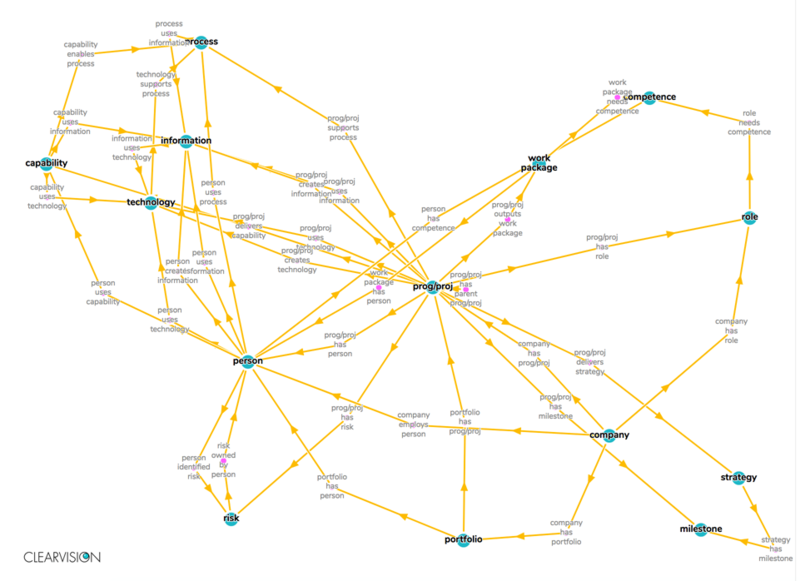 This can be the Aras overlay approach (here explained by Oleg Shilovitsky), the PTC Navigate approach or others, using a new extra layer to connect the various discipline data and create traceability in a more or less non-intrusive way. Similar concepts, but less intrusive can be done through Business Intelligence applications, although they are more read-only than a system approach. In the Digital Thread – connected approach the idea is that information is stored in an extreme granular way and shared among disciplines. Instead of the coordinated way, where every discipline can have their own data sources, here the target is to be data-driven (neutral/standard formats). I described this approach in the various aspects of the model-based enterprise. 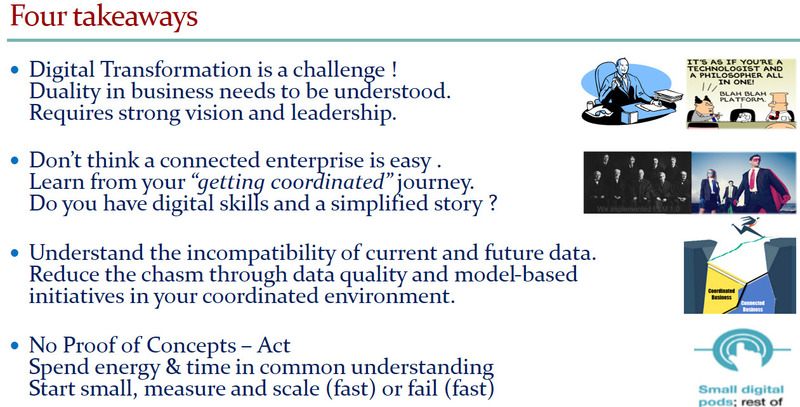 The challenge of a connected enterprise is the standardized data definition to make it available for all stakeholders. Working in a connected enterprise is extremely difficult, in particular for people educated in the old-fashioned ways of working. If you have learned to work with shared documents, like Google Docs or Office documents in sharing mode, you will understand the mental change you have to go through. Continuous sharing the information instead of waiting until you feel your part is complete. In the software domain, companies are used to work this way and to integrate data in a continuous stream. We have to learn to apply these practices also to a complete product lifecycle, where the product consists of hardware and software. Jan Bosch is coming from the software world, promoting the Software-Centric Systems conference SC2 as a conference to open up your mind. I recommend you to take part in upcoming PLM related events: CIMdata’s PLM roadmap Europe combined with PDT Europe on 24/25th October in Stuttgart, or if you are living in the US there is the upcoming PI PLMx CHICAGO 2018 on Nov 5/6th. Learning and understanding are crucial and takes time. A digital transformation has many aspects to learn – keep in mind the difference between coordinated (relatively easy) and connected (extraordinarily challenging but promising). Unfortunate there is no populist way to become digital. 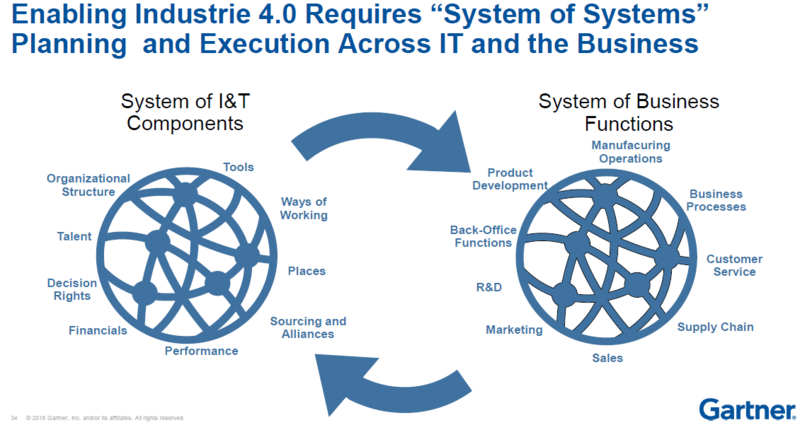 If you want to continue learning, please read this post – The True Impact of Industry 4.0 Revealed -and its internal links to reference information from Martijn Dullaart – so relevant. What I want to discuss this time is the challenging transformation related to product data that needs to take place. 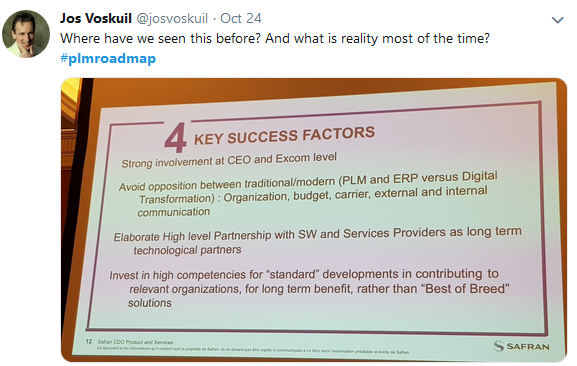 The top image of this post illustrates the current PLM world on the left, and on the right the potential future positioning of PLM in a digital enterprise. How the right side will behave is still vague – it can be a collection of platforms or a vast collection of small services all contributing to the performance of the company. Some vendors might dream, all these capabilities are defined in one system of systems, like the human body; all functions are available and connected. This is THE big question for a future digital enterprise. In the current PLM approach, there are governance structures that allow people to share data along the product lifecycle in a structured way. These governance structures can be project breakdown structures, where with a phase-gate approach the full delivery is guided. Deliverables related to task and gates will make sure information is stored available for every stakeholder. For example, a well-known process in the automotive industry, the Advanced Product Quality Process ( APQP process) is a standardized approach to make sure parts or products are introduced with the right quality for the customer. 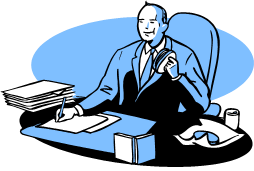 Deliverables at any stage in the process can be reviewed or consumed by another stakeholder. The result is most of the time a collection of approved documents (Office-type, Design & Test files) stored centrally. This is what I would call a coordinated data approach. In complex environments, besides the project governance, there will be product structures and Bill of Materials, where each object in such a structure will be the placeholder for related information. In case of a product structure it can be its specifications per component, in case of a Bill of Materials, it can be its design specification (usually in CAD models) and its manufacturing specifications, in case of an MBOM. Although these structures contain information about the product composition themselves, the related information makes the content understandable/realizable. Again it is a coordinated approach, and most PLM systems and implementations are focusing on providing these structures. Sometimes with their own system only – you need to follow the vendor portfolio to get the full benefit or sometimes the system is positioned as an overlay to existing systems in the company, therefore less invasive. Providing the single version of the truth is often associated with this approach. The question is: Is the green bin on the left the single version of the truth? The challenge of a coordinated approach is that there is no thorough consistency checking if the data delivered is representing the real truth. Through serious review procedures, we do our best to make sure every deliverable has the required content and quality. As information inside these deliverables is not connected to the outside world, there will be discrepancies between reality and what has been stored. Still, we feel comfortable enough as an organization to pretend we know where the risks are. Until the costly impossible happens ! The ultimate dream of a digital enterprise is that everything relevant is connected in context. This means no more documents or files but a very granular information model for linking data and keeping it in context. We can apply algorithms and automation to connected data and use Artificial Intelligence to make sense of massive amounts of data. 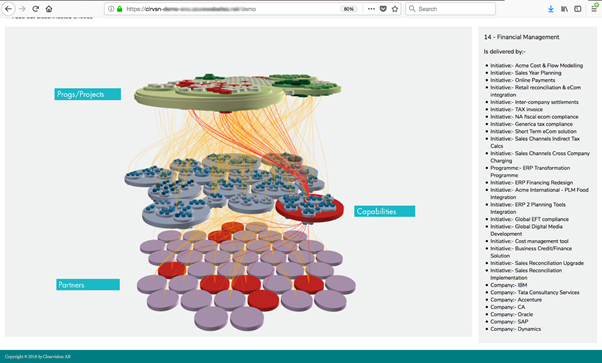 Connected data allows us to share combined sets of information that are relevant to a particular role. Real-time dashboarding is one of the benefits of such an infrastructure. There are still a lot of challenges with this approach. How do we know which information is valid in the context of other information? What are the rules that describe a valid product or project baseline at a particular time? Although all data is stored as unique information objects in a network of information, we cannot apply the old mechanisms for a coordinated approach all the time. Generated reports from a connected environment can still serve as baselines or records related to a specific state, such as when the design was approved for manufacturing, we can generate approved Product Baselines structures or Bill of Materials structures. Almost immediately and based on first experiences from the field, new features can be added virtually tested and validated for the next stage. We need to design new PLM infrastructures that can support this granularity and therefore complexity. The concepts I described related to the connected enterprise made me realize that this is analogue to how the brain works. Our brain is a giant network of connected information, dynamically maintaining associations, having different abstraction levels and always pretending there is one truth. If you want to understand a potential model of the brain, please read On Intelligence from Jeff Hawkins. With the possible upcoming of the Quantum Computer, we might be able to create performing brain models. In my earlier post: Are we blocking our future, I referred to the book; The Idiot Brain: What Your Head is Really Up To from Dean Burnett, where Dean is stating that due to the complexity of stored information our brain continuously adapts “non-compliant” information to make sure the owner of the brain feels comfortable. As part of the preparation for the upcoming PDT Europe 2018, I was investigating the topics coordinated and connected enterprise to discover potential transformation steps. We all need to explore the future with an open mind, and the challenge is: WHERE and HOW FAST can we transform from coordinated to connected? I am curious if you have experiences or thoughts on this topic. At this moment we are in the middle of the year. Usually for me a quiet time and a good time to reflect on what has happened so far and to look forward. A short summary per theme here with links to the original posts for those who haven’t followed the sequence. Triggered by Oleg Shilovitsky’s post Why traditional PLM ranking is dead. PLM ranking 2.0 a discussion started related to the changing roles of PLM choice and the roles of a consultant. Oleg and I agreed that using the word dead in a post title is a way to catch extra attention. And as many people do not read more than the introduction, this is a way to frame ideas (not invented by us, look at your newspaper and social media posts). Please take your time and read this post till the end. Oleg and I concluded that the traditional PLM status reports provided by consultancy firms are no longer is relevant. They focus on the big vendors, in a status-quo and most of them are 80 % the same on their core PLM capabilities. The challenge comes in how to select a PLM approach for your company. Here Oleg and I differ in opinion. I am more looking at PLM from a business transformation point of view, how to improve your business with new ways of working. The role of a consultant is crucial here as the consultant can help to formalize the company’s vision and areas to focus on for PLM. The value of the PLM consultant is to bring experience from other companies instead of inventing new strategies per company. And yes, a consultant should get paid for this added value. 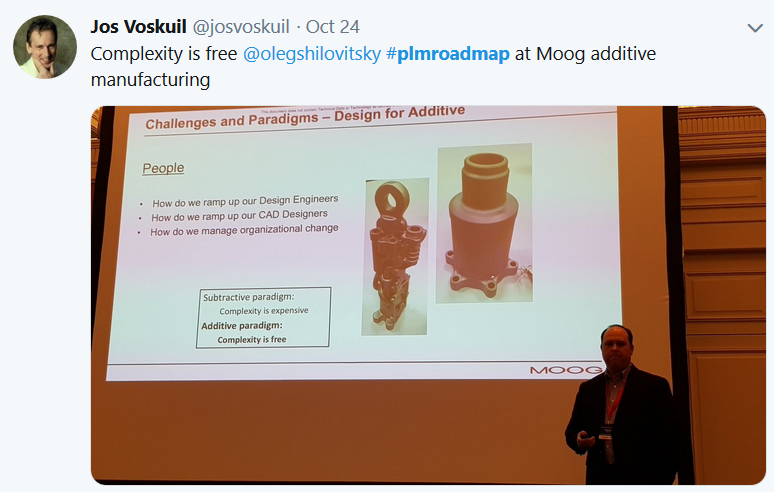 Oleg believes more in the bottom-up approach where new technology will enable users to work differently and empower themselves to improve their business (without calling it PLM). More or less concluding there is no need for a PLM consultant as the users will decide themselves about the value of the selected technology. In the context of Oleg’s position as CEO/Co-founder of OpenBOM, it is a logical statement, fighting for the same budget. The discussion ended during the PLMx conference in Hamburg, where Oleg and I met with an audience recorded by MarketKey. You can find the recording Panel Discussion: Digital Transformation and the Future of PLM Consulting here. Unfortunate, like many discussions, no conclusion. My conclusion remains the same – companies need PLM coaching ! The death of PLM consultancy? 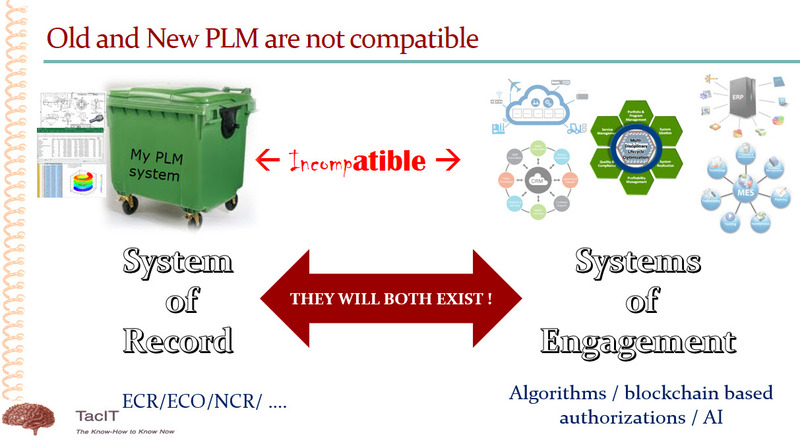 A topic that I have discussed the past two years is that current PLM is not compatible with a modern data-driven PLM. 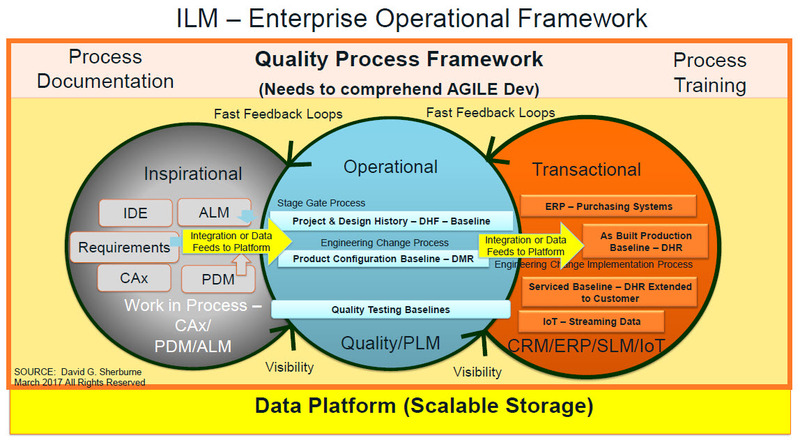 Note: data-driven PLM is still “under-development”. Where in most companies the definition of the products is stored in documents / files, I believe that in order to manage the complexity of products, hardware and software in the future, there is a need to organize data related to models not to files. See also: From Item-centric to model-centric ? For a company it is extremely difficult to have two approaches in parallel as the first reaction is: “let’s convert the old data to the new environment”. This statement has been proven impossible in most of the engagements I am involved in and here I introduced the bimodal approach as a way to keep the legacy going (mode 1) and scale-up for the new environment (mode 2). A bimodal approach is sometimes acceptable when the PLM software comes from two different vendors. Sometimes this is also called the overlay approach – the old system remains in place and a new overlay is created to connect the legacy PLM system and potentially other systems like ALM or MBSE environments. 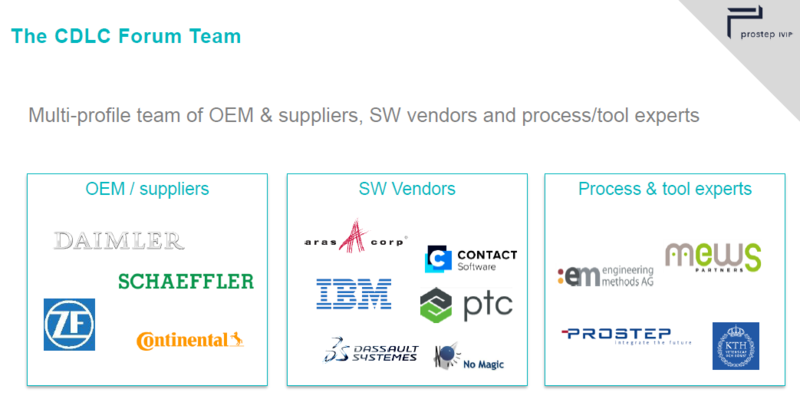 For example some of the success stories for Aras complementing Siemens PLM. Like the bimodal approach the overlay approach creates the illusion that in the near future the old legacy PLM will disappear. I partly share that illusion when you consider the near future a period of 5 – 10+ years depending on the company’s active products. Faster is not realistic. 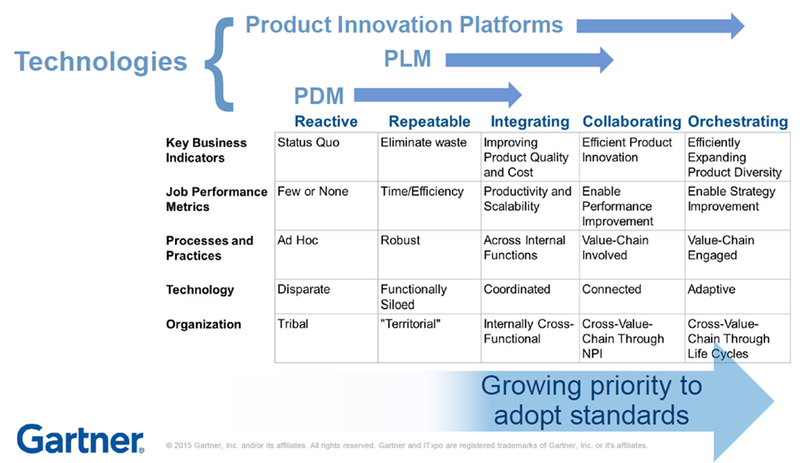 And related to bimodal, I now prefer to use the terminology used by McKinsey: our insights/toward an integrated technology operating model in the context of PLM. 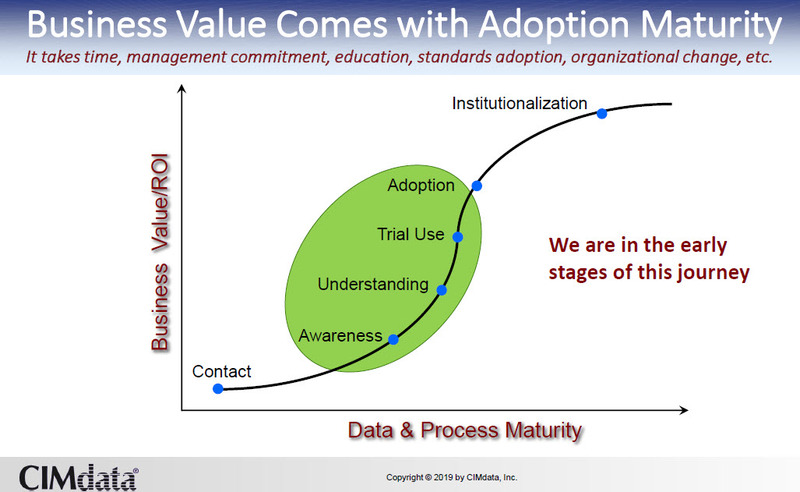 The challenge is that PLM vendors are reluctant to support a bimodal approach for their own legacy PLM as then suddenly this vendor becomes responsible for all connectivity between mode 1 and mode 2 data – every vendors wants to sell only the latest. Most of my blogging time I spent on explaining the meaning behind a modern model-driven approach and its three main aspects: Model-Based Systems Engineering, Model-Based Definition and Digital Twins. As some of these aspects are still in the hype phase, it was interesting to see the two different opinions are popping up. On one side people claiming the world is still flat (2D), considering model-based approaches just another hype, caused by the vendors. There is apparently no need for digital continuity. If you look into the reactions from certain people, you might come to the conclusion it is impossible to have a dialogue, throwing opinions is not a discussion..
One of the reasons might be that people reacting strongly have never experienced model-based efforts in their life and just chime in or they might have a business reason not to agree to model-based approached as it does not align with their business? It is like the people benefiting from the climate change theory – will the vote against it when facts are known ? Just my thoughts. There is also another group, to which I am connected, that is quite active in learning and formalizing model-based approaches. This in order to move forward towards a digital enterprise where information is connected and flowing related to various models (behavior models, simulation models, software models, 3D Models, operational models, etc., etc.) . This group of people is discussing standards and how to use and enhance them. They discuss and analyze with arguments and share lessons learned. One of the best upcoming events in that context is the joined CIMdata PLM Road Map EMEA and the PDT Europe 2018 – look at the agenda following the image link and you should get involved too – if you really care. 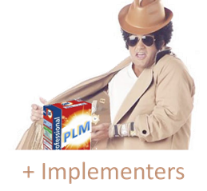 I spent a lot of time demystifying some of PLM-related themes. The challenge remains, like in the non-PLM world, that it is hard to get educated by blog posts as you might get over-informed by (vendor-related) posts all surfing somewhere on the hype curve. Do not look at the catchy title – investigate and take time to understand HOW things will this work for you or your company. There are enough people explaining WHAT they do, but HOW it fit in a current organization needs to be solved first. Therefore the above three themes. This is my concluding post related to the various aspects of the model-driven enterprise. We went through Model-Based Systems Engineering (MBSE) where the focus was on using models (functional / logical / physical / simulations) to define complex product (systems). Next we discussed Model Based Definition / Model-Based Enterprise (MBD/MBE), where the focus was on data continuity between engineering and manufacturing by using the 3D Model as a master for design, manufacturing and eventually service information. And last time we looked at the Digital Twin from its operational side, where the Digital Twin was applied for collecting and tuning physical assets in operation, which is not a typical PLM domain to my opinion. The Digital Twin used to virtually define and optimize a new product/system or even a system of systems. For example, defining a new production line. The Digital Twin used to be the virtual replica of an asset in operation. For example, a turbine or engine. 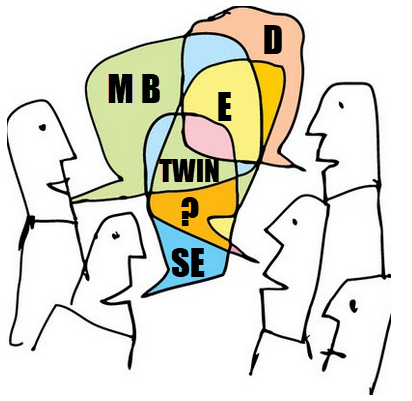 There might be some conceptual overlap if you compare the MBSE approach and the Digital Twin concept to define a new product or system to deliver. 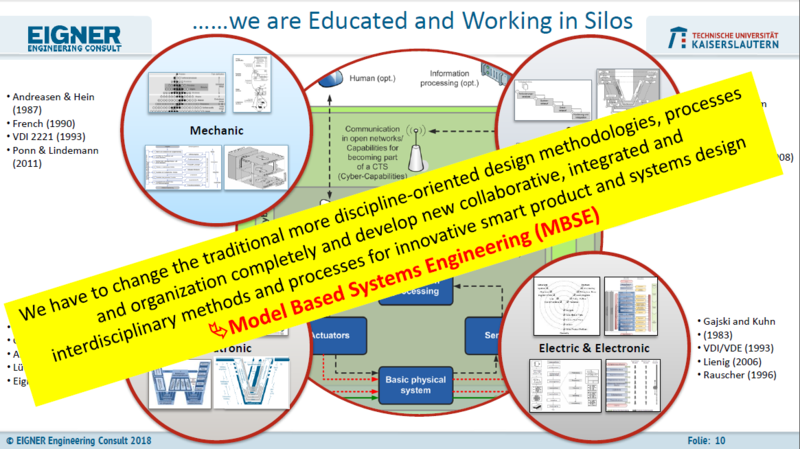 For me the differentiation would be that MBSE is used to master and define a complex system from the R&D point of view – unknown solution concepts – use hardware or software? Unknown constraints to be refined and optimized in an iterative manner. In the Digital Twin concept, it is more about a defining a system that should work in the field. How to combine various systems into a working solution and each of the systems has already a pre-defined set of behavioral / operational parameters, which could be 3D related but also performance related. You would define and analyze the new solution virtual to discover the ideal solution for performance, costs, feasibility and maintenance. Working in the context of a virtual model might take more time than traditional ways of working, however once the models are in place analyzing the solution and optimizing it takes hours instead of weeks, assuming the virtual model is based on a digital thread, not a sequential process of creating and passing documents/files. Virtual solutions allow a company to optimize the solution upfront instead of costly fixing during delivery, commissioning and maintenance. Why aren’t we doing this already? It takes more skilled engineers instead of cheaper fixers downstream. The fact that we are used to fixing it later is also an inhibitor for change. Management needs to trust and understand the economic value instead of trying to reduce the number of engineers as they are expensive and hard to plan. In the construction industry, companies are discovering the power of BIM (Building Information Model) , introduced to enhance the efficiency and productivity of all stakeholders involved. Massive benefits can be achieved if the construction of the building and its future behavior and maintenance can be optimized virtually compared to fixing it in an expensive way in reality when issues pop up. The same concept applies to process plants or manufacturing plants where you could virtually run the (manufacturing) process. If the design is done with all the behavior defined (hardware-in-the-loop simulation and software-in-the-loop) a solution has been virtually tested and rapidly delivered with no late discoveries and costly fixes. Of course it requires new ways of working. Working with digital connected models is not what engineering learn during their education time – we have just started this journey. Therefore organizations should explore on a smaller scale how to create a full Digital Twin based on connected data – this is the ultimate base for the next purpose. When you are after the topic of a Digital Twin through the materials provided by the various software vendors, you see all kinds of previews what is possible. Augmented Reality, Virtual Reality and more. All these presentations show that clicking somewhere in a 3D Model Space relevant information pops-up. Where does this relevant information come from? Most of the time information is re-entered in a new environment, sometimes derived from CAD but all the metadata comes from people collecting and validating data. Not the type of work we promote for a modern digital enterprise. These inefficiencies are good for learning and demos but in a final stage a company cannot afford silos where data is collected and entered again disconnected from the source. The main problem: Legacy PLM information is stored in documents (drawings / excels) and not intended to be shared downstream with full quality. Read also: Why PLM is the forgotten domain in digital transformation. If a company has already implemented an end-to-end Digital Twin to deliver the solution as described in the previous section, we can understand the data has been entered somewhere during the design and delivery process and thanks to a digital continuity it is there. How many companies have done this already? For sure not the companies that are already a long time in business as their current silos and legacy processes do not cater for digital continuity. By appointing a Chief Digital Officer, the journey might start, the biggest risk the Chief Digital Officer will be running another silo in the organization. So where does PLM support the concept of the Digital Twin operating in the field? For me, the IoT part of the Digital Twin is not the core of a PLM. Defining the right sensors, controls and software are the first areas where IoT is used to define the measurable/controllable behavior of a Digital Twin. This topic has been discussed in the previous section. Data collected from an individual twin or collection of twins can be analyzed to extract or discover failure opportunities. An R&D organization is interested in learning what is happening in the field with their products. These analyses lead to better and more competitive solutions. Predictive maintenance is not necessarily a part of that. When you know that certain parts will fail between 10.000 and 20.000 operating hours, you want to optimize the moment of providing service to reduce downtime of the process and you do not want to replace parts way too early. The R&D part related to predictive maintenance could be that R&D develops sensors inside this serviceable part that signal the need for maintenance in a much smaller time from – maintenance needed within 100 hours instead of a bandwidth of 10.000 hours. Or R&D could develop new parts that need less service and guarantee a longer up-time. For an R&D department the information from an individual Digital Twin might be only relevant if the Physical Twin is complex to repair and downtime for each individual too high. Imagine a jet engine, a turbine in a power plant or similar. Here a Digital Twin will allow service and R&D to prepare maintenance and simulate and optimize the actions for the physical world before. The second part where R&D will be interested in, is in the behavior of similar products/systems in the field combined with their environmental conditions. In this way, R&D can discover improvement points for the whole range and give incremental innovation. The challenge for this R&D organization is to find a logical placeholder in their PLM environment to collect commonalities related to the individual modules or components. This is not an ERP or MES domain. Concepts of a logical product structure are already known in the oil & gas, process or nuclear industry and in 2017 I wrote about PLM for Owners/Operators mentioning Bjorn Fidjeland has always been active in this domain, you can find his concepts at plmPartner here or as an eLearning course at SharePLM.